Free Shipping Included! 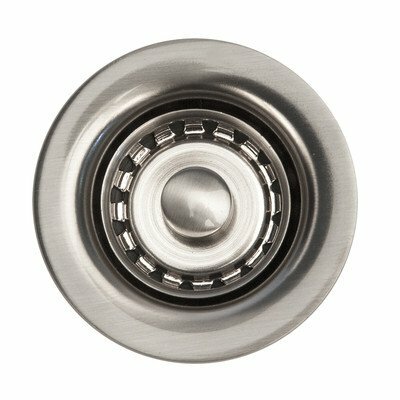 2'' Bar Basket Strainer Drain - Brushed Nickel (PCP-D-133BN) by Premier Copper Products at The Synthesizer. MPN: D-133BN. Hurry! Limited time offer. Offer valid only while supplies last. Open and close function. Installation type: Compression. Made from brass and pvc. Drain size: 2 in.. Warranty: Limited lifetime. Made in China. 3 in. Open and close function. Installation type: Compression. Made from brass and pvc. Drain size: 2 in.. Warranty: Limited lifetime. Made in China. 3 in. Dia. x 2.63 in. H (1 lbs. ).